Size of this preview: 491 × 600 pixels. Other resolutions: 196 × 240 pixels | 393 × 480 pixels | 988 × 1,207 pixels. 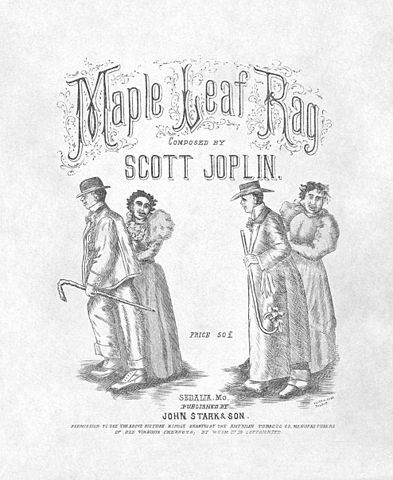 "Maple Leaf Rag" first edition sheet music. Cover page: part 1 of 4. Restored version of Image:Maple Leaf Rag 1st ed.jpg with cropping, uneven paper texture patched, dirt removed, levels adjusted, and contrast enhanced.